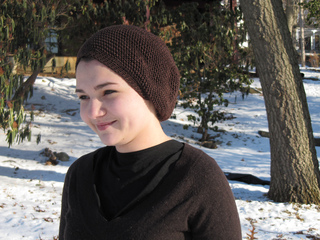 Tisha is the perfect slouchy, beret-style hat. 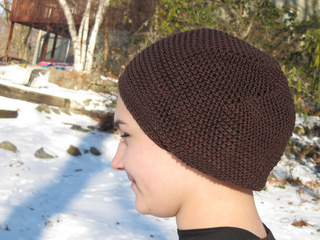 The main stitch pattern gives it drape and movement, while the use of foundation single crochet stitches gives the opening the stretch it needs for a perfect fit. It’s warm enough for chilly spring weather, but breathable enough for summer wear. It’s sure to be a year round favorite. Sample made in Tahki Cotton Classics 100% mercerized cotton (1.75 oz 50 g, 108 yd 100 m), 2 skeins of # 3336 Bittersweat Chocolate.